From September 1 struggle against the national symbols of the Crimean Tatar people was extended to educational institutions in the occupied Crimea as well. On September 1, a tamga (the coat of arms of the Crimean Tatars) was cut from the gates of the Crimean Tatar school No. 3 in the village of Sovetskoe (the historical name - Ichki), according to user Mavile Abkerimova on Facebook. “The tamga was cut from the gates of the Crimean Tatar school No. 3 in Sovetskoe. It happened yesterday afternoon. 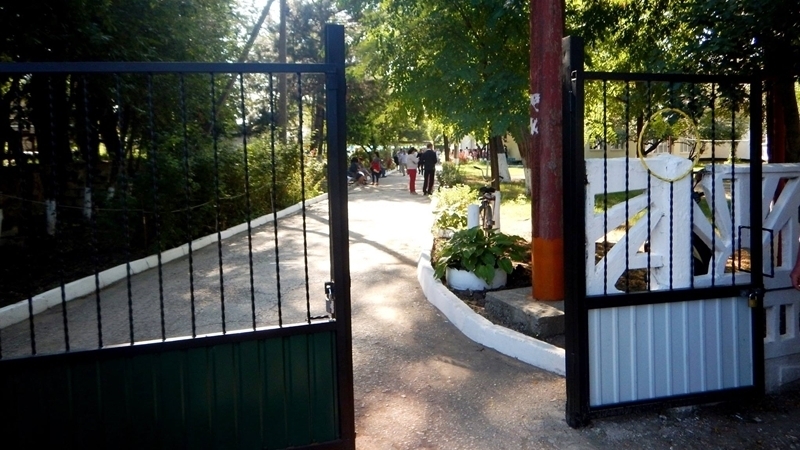 As it turned out, the school administration was forced to abide by the decision of the authorities, according to which "there should not be national symbols on the gate," and removed the Crimean Tatar symbol. Tamga decorated the gates of the school till the school year began. Today, September 1, the students went to the solemn line through the gate with empty circles in the middle. It's quite sad ...,” Mavile Abkerimova wrote on Facebook. Earlier, Crimean Tatar activist Edem Dudakov reported that the demand to remove the tamga from the gates of the national school came from "the head of the Sovetsky district education department Mr. Akulenko."